Love is in the air here in Texas and so is some snow today! I guess that's ok for February! 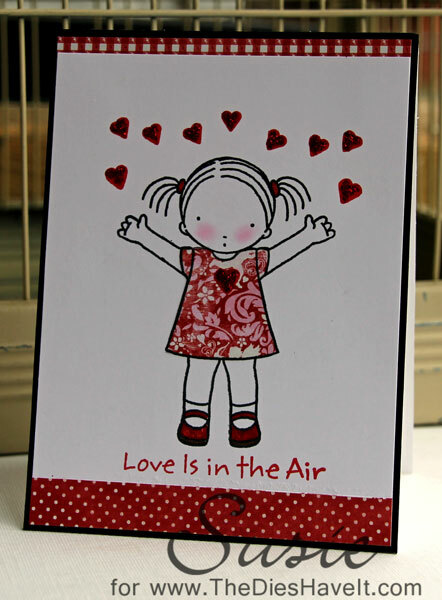 I just had to use this little MFT stamp again - she is irresistible to me. I paper pieced her dress and only colored in a few details on the stamped image. I love the clean look of this. ...and so my month of loving My Favorite Things continues. I hope you'll continue along the journey with me.